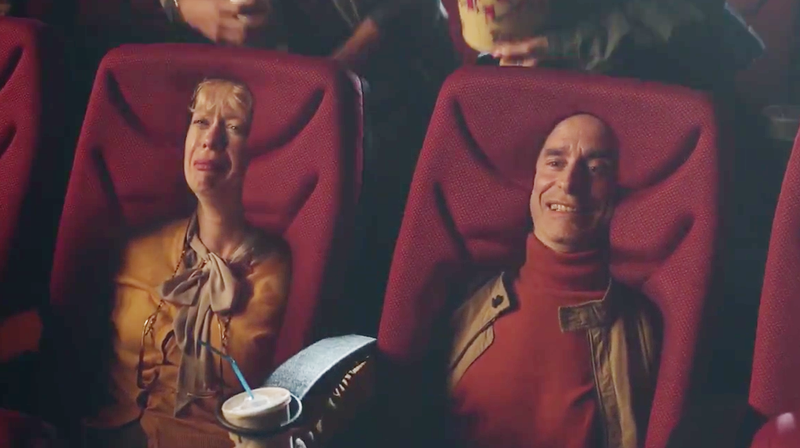 Distraught mothers became psychotic stalkers in Old Spice's epic "Momsong" musical, following their sons around and weeping about how they've grown into men too soon, thanks to the brand's female-luring body sprays. Now, it's time for fathers to weigh in. And naturally, they couldn't be happier that their boys are turning into men. The 60-second sequel, "Dadsong," from Wieden + Kennedy, tries to pack in a lot more than the original, which won a slew of awards, including gold at the Clios and in Cannes. It opens with one of the moms from the first spot, still bereaved as she watches her son slow-dance with a girl at a high school dance. "Where's my little boy, I miss him so/Who's this man living in our home?/My special guy has turned into a man," she sings. Then, back at home, Dad comes roaring in on a sit-down lawnmower, and sings: "At least he won't be living in a driveway in a van!" Of course, the moms and dads are actually both right. As the lyrics cleverly hint at, about halfway through, he's not a man or a child—he's a manchild. And he'll certainly get a kick out of the commercial.